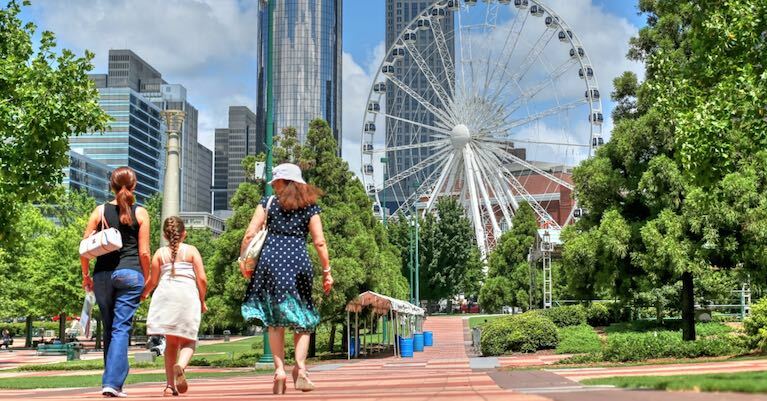 Atlanta has long been a tourist hub, especially with Hartsfield-Jackson International Airport only a short drive away. 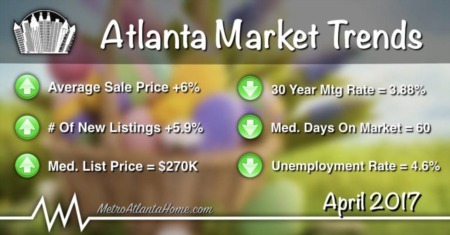 Atlanta is also a city of diversity, which is echoed in the variety of exciting attractions. 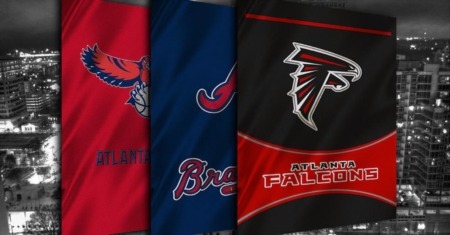 No matter your tastes or preferences, there will be an Atlanta attraction for you. In the heart of Midtown, the Atlanta Botanical Garden has been a city favorite since the late 70s. Originally developed by a group of Atlanta citizens, the Garden signed a 50-year lease with the city and has been growing steadily ever since. The 80s saw a quick increase of exhibits, events, and popularity; the Raiford Intern Program was founded in 1981, the education program expanded in 1982, the first concert held in 1984, and the Dorothy Chapman Fuqua Conservatory opened in 1989. By the 90s, the Garden was growing flowers and plants that most Atlantans had never before seen, some of them rare and endangered. The Gainesville location was fully funded in the year 2000, and the Garden as it is known today opened to great fanfare in 2009. Favorite attractions at the Atlanta Botanical Garden include the Canopy Walk, a 600-feet elevated pathway that allows one to walk through the treetops, overlooking Storza Woods, the Edible Garden, an interactive exhibit that shows that vegetables are not only food, but also lovely plants and flowers, and Cascades Garden, a quiet garden of waterfalls punctuated with bright plants and vegetation. Other popular exhibits include the Children’s Garden, the Fuqua Conservatory and Orchid Center, and the Japanese Garden. 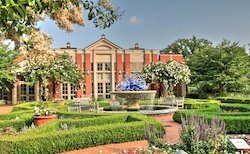 In addition to amazing plants and flowers, the Atlanta Botanical Garden hosts a variety of events, year round. From the Garden Lights, Holiday Nights in December to spring and summer concerts on the lawn, there is always something different going on at the Atlanta Botanical Garden. Grab a bite to eat at The Café at Linton’s in the Garden and bring back a souvenir from the Garden Gift Shop. Whether you’re a first time visitor to Atlanta or a long-time resident, the Atlanta Botanical Garden should always be on your list of attractions to visit. 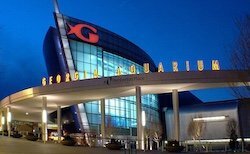 The popular Georgia Aquarium is relatively new to the city, yet it has quickly risen to the top as one of Atlanta’s most popular attractions. Opened in 2005, the Georgia Aquarium held the title of world’s largest aquarium for seven years and still holds the title of the largest aquarium in the western hemisphere. Visitors will find thousands of fish, wildlife, and other animals in the aquarium, along with 10 million gallons of both salt and fresh water. Popular exhibits include the beluga whales, bottlenose dolphins, manta rays, and the most popular, whale sharks. The Georgia Aquarium is the only aquarium in the world, besides Asia, that has whale sharks for public view; the entire aquarium itself was developed around the whale shark habitat and exhibit. The aquarium’s manta rays are special, as well – only three other aquariums in the world have them on display. When visiting the Georgia Aquarium, visitors are welcomed into a large atrium, with five exhibits available to see, each one providing a different learning experience and environment. Some feature hands-on experiences, with visitors being allowed to touch sting rays and different fish. There is also a 4D movie, numerous live shows, and several opportunities that allow visitors to be face-to-face with favorite animals and fish, from petting a dolphin, penguin, or sea otter to swimming and diving with the whale sharks. During the year, the Georgia Aquarium also offers numerous tours, lectures, and children’s events and parties. 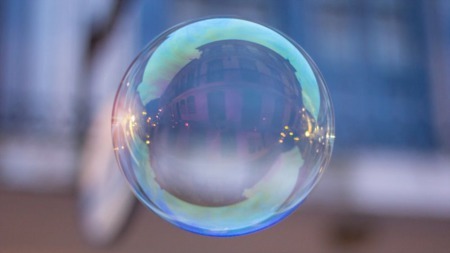 In 1999, Georgia Tech student Ryan Gravel had an idea that quickly grew into a master’s thesis. Gravel envisioned a walking/biking trail, including greenspace, which would circle around the city of Atlanta, connecting favorite neighborhoods and providing immeasurable growth to not only the neighborhoods but also Atlanta itself. 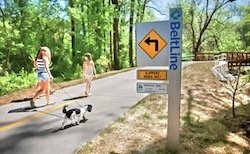 The Atlanta BeltLine is a converted 22-mile railway corridor; beginning in the mid-00s, volunteers and coordinators alike began revitalizing the overgrown trail, removing ancient train tracks, improving the landscaping, and paving the trail to make it pedestrian and bike friendly. Once completed, 45 Atlanta neighborhoods will be connected. Numerous parks, greenspaces, walking trails, and transit options will branch off from the BeltLine. And many intown neighborhoods will find themselves revitalized, with retail, housing, and recreation options available that didn’t exist before. Tours of the Atlanta BeltLine take place every day. 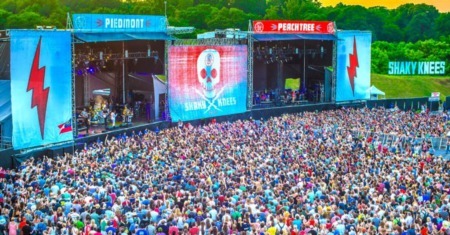 Numerous festivals and events now include the BeltLine or even take place on it. BeltLine bike rentals are available. Art on the BeltLine is a yearly project where local artists display their work along the developed stretch of the BeltLine. And there are several run/walk events that take place throughout the year on the BeltLine, as well. If you’re an outdoors kind of person, the Atlanta BeltLine is a logical destination and will continue to be one of Atlanta’s most-loved projects. 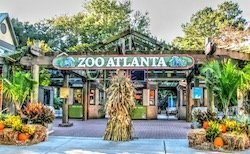 Located in historic Grant Park, Zoo Atlanta was originally a circus that was traveling through Atlanta. In 1889, the circus owner fell into bankruptcy and the animals were stranded inside Atlanta city limits. A local businessman purchased the collection of animals from a public auction and subsequently donated them to the city, who placed them in Grant Park. They never left. The natural habitats and enclosures that Zoo Atlanta is known for today were constructed in the 50s and 60s, and after a period of deterioration in the 80s, Mayor Andrew Young appointed a new director and the rebirth of Zoo Atlanta began. Favorite exhibits at Zoo Atlanta include the giant pandas, expansive gorilla habitat, and the recently completed amphibian and reptile house. Numerous wildlife shows take place each day at Zoo Atlanta, as do keeper talks and training demos. The playgrounds, train, petting zoo, and carousel are other popular destinations. There are several interactive opportunities, as well, where visitors can feed an elephant, giant panda, or tortoise, hand-feed a free-flying parakeet, or help provide lunch to one of the giraffes that call Zoo Atlanta home. During the summer months, bring the swimsuit and stay cool in Splash Fountain. Zoo Atlanta has been a favorite of both school children and adults for many years. With the new ways the zoo is growing and will keep growing in the years to come, Zoo Atlanta is worth a visit.